Looking for a way to instantly set a holiday theme or mood for your magic show? The check out this Santa Claus Table! Not only is this a sturdy place for your props, but this table lets your audience know they are in for some holiday fun! 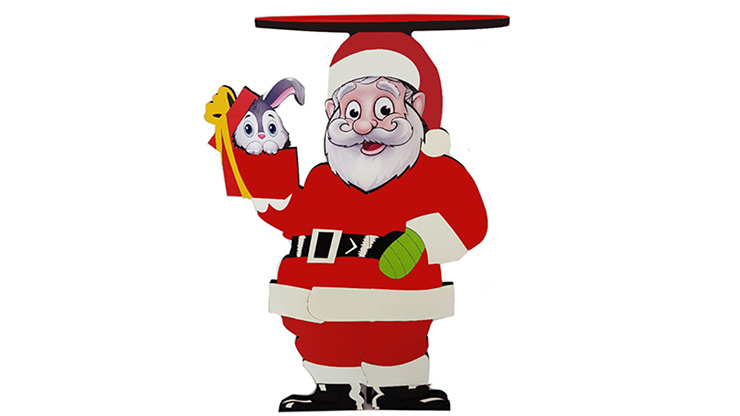 Santa is even has a present with a bunny inside! If you do kids' shows, this will really hit the spot! It says they're in for a fun time with YOU, the magician, and puts them in the mood even before you begin! Order yours today!